NEW!! A very beautiful new form of Dryopteris erythrosora with new frond colours a dramatic brick-red. 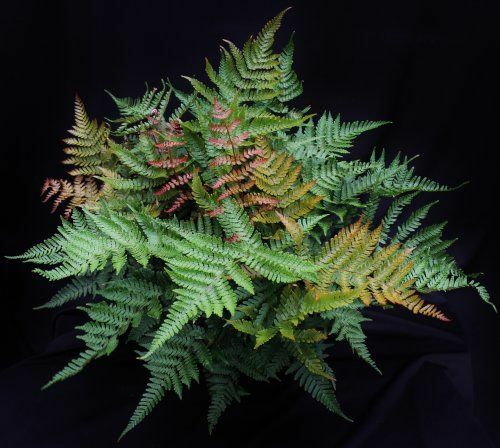 It is quite similar to Dryopteris koidzumiana in colour. It likes a little more shade than the species, but like the species it is not fussy about soil, just avoid wet areas.